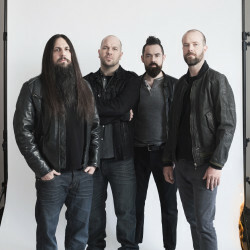 Review Fix chats with Finger Eleven frontman Scott Anderson, who discusses the band’s new album, “Five Crooked Lines,” which is set for a July 31 release via The Bicycle Music Company/Concord. Breaking down the creative process and inspiration behind the album, Anderson lets us know exactly why it’s a special one. The band’s first album in five years and follow up to their stellar 2010 album, “Life Turns Electric,” Black lets us know what separates it from the other seven albums they’ve released.